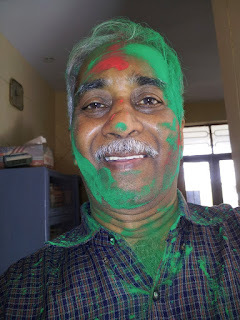 See (in the attachment) me in HOLI colors...!!! It's a photograph (through a mirror) I took this morning from my mobile...!!! We could not separate the poem from the text of the message without losing meaning and context. So here the poem is presented, in its complete form - together with the context and the colorful letters.